$250 million funding round matches cash raised by arch-rival Uber. Popular ride-sharing service Lyft just closed its latest round of funding, raking in $250 million from several VC firms. Coatue, Alibaba, And Third Point are the new investors, and they join existing investors Andreessen Horowitz, Founders Fund, and Mayfield Ventures. The successful Series D funding round means Lyft has now matched the money raised by Uber, the other big name in ride-sharing. From the Lyft blog: "Lyft has grown to 30 cities across the country, and this investment will help us continue to grow in the United States and around the world." 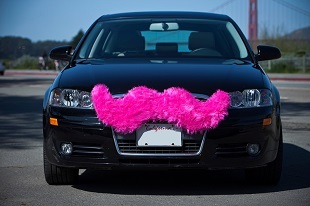 Specific growth plans have not yet been outlined, but Lyft Europe is likely to be a thing in the near future. Ride-sharing apps like Uber and Lyft have changed the way we (at least some of us, at least) get around major cities. Whether you're in need of an airport run, you're bar-hopping with friends, or your car is in the shop and you need a ride to work, ride-sharing services make city traversal that much easier.